What was life really like in the Royal Navy 100 years ago? Where did the ships go? How did the crews spend their days? What were the noteworthy, and the routine, events in their lives? 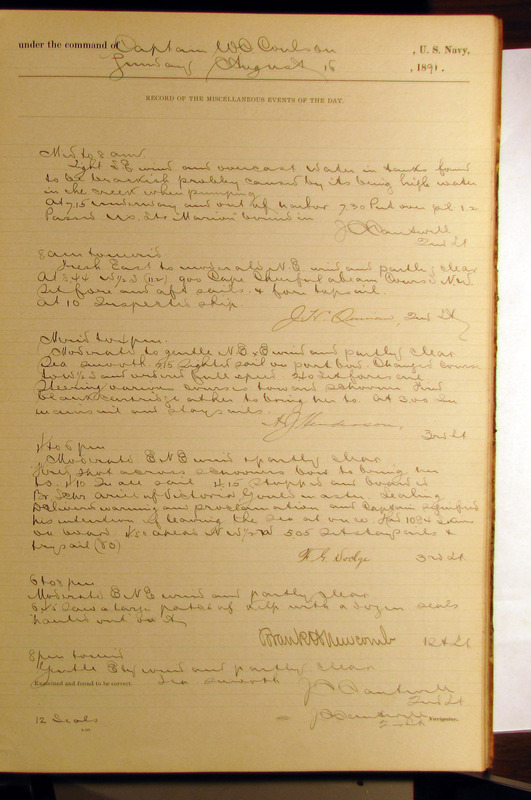 The Royal Navy logbooks we worked through in the original version of oldWeather provide a uniquely powerful insight into these questions – they are primary records of exactly what happened. But they are not easy to use – hard to read, not indexed, or searchable, and often full of obscure technical language. 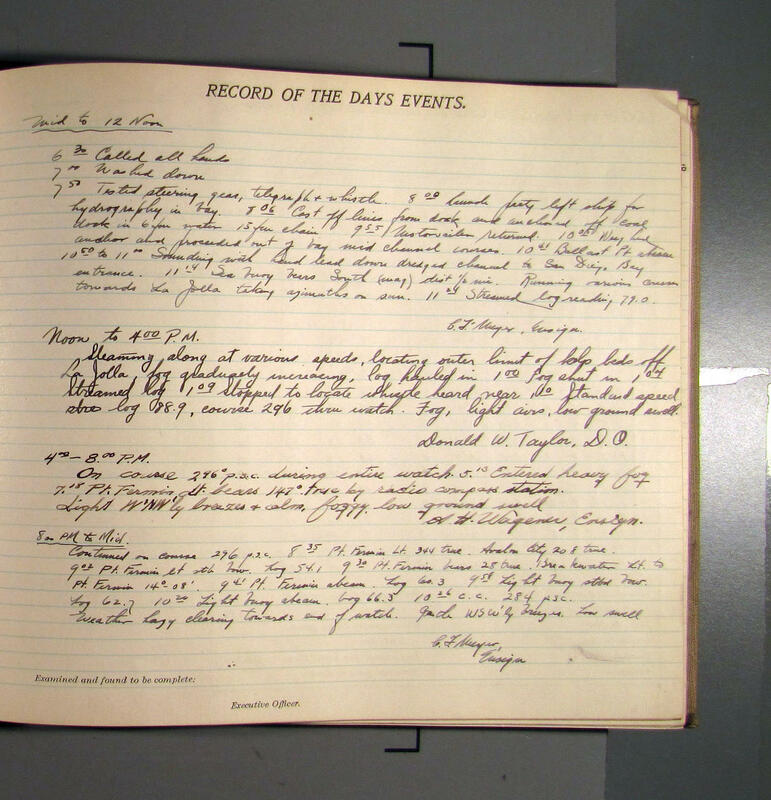 When we transcribed the weather in the logs we caught many of the historical events as well, and we were able to make a formatted history file for each ship – linking each logbook page image to transcribed events and information from that day, and we assembled those ship histories on our partner website naval-history.net. Those history files made from the raw transcriptions are a good start, but they are far from perfect: Some events we caught cleanly, some only half-stopped, and our decisions on what to leave were usually good, but not always. So our team of volunteer editors have been working through the raw files editing and improving them: reviewing the decisions made in the heat of transcription, correcting mistakes, merging multiple versions, adding missing events, incorporating pithy commentary and expert summaries of key points, and adding maps of the ship journeys. 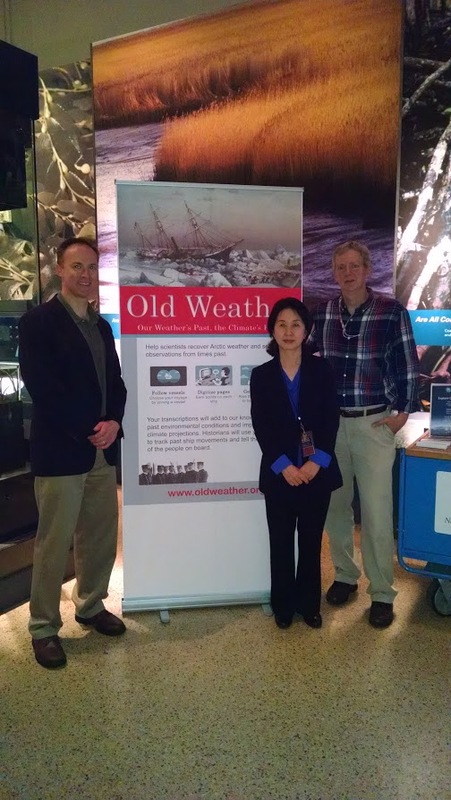 As so often with oldWeather, this has been a lot of work – a major task tackled with care and patience by an increasingly-expert team of volunteers. Their achievement is clear to see, comparing the edited histories (in bold on this page) with the raw versions shows a huge improvement in clarity, accuracy, completeness, and value. And the score of the editing team has mounted steadily – they have just released their 200th edited ship history. To get to 200 ships edited is an awesome achievement, but of course we still have power to add: HMS Cricket is done, as are Cardiff, India, New Zealand and Sydney; but Dunedin, Durban, Perth, Delhi and Capetown are yet to be conquered. Are you available for selection? We’ve spotted the first signs of new ships on oldWeather. 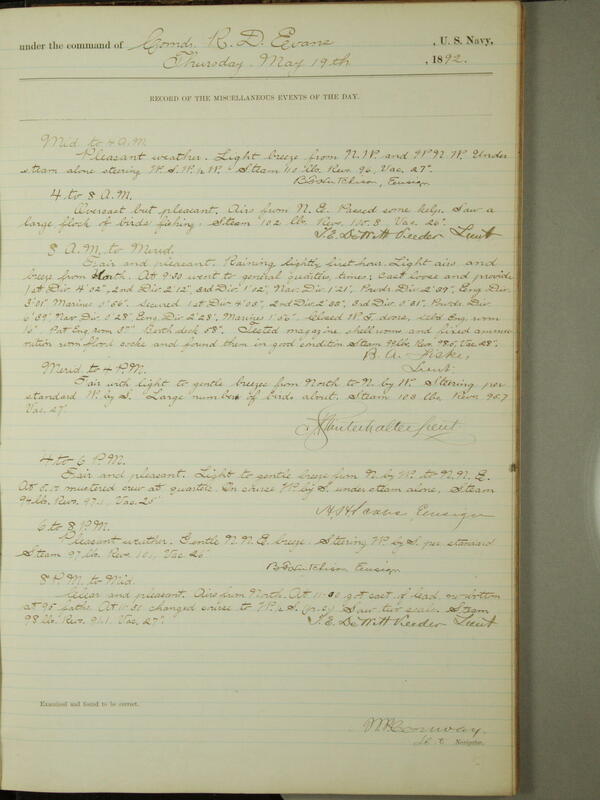 We are partnering with the New Bedford Whaling Museum to read and transcribe their collection of whaling ship logs. 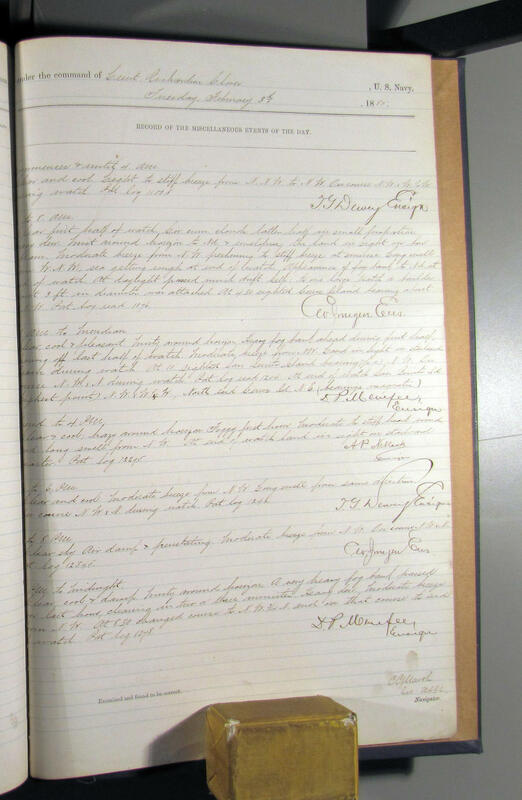 Whalers are not just historically important and interesting, their hunting grounds were well into the Arctic, so we’re hoping to get some particularly good sea-ice records from these logs. 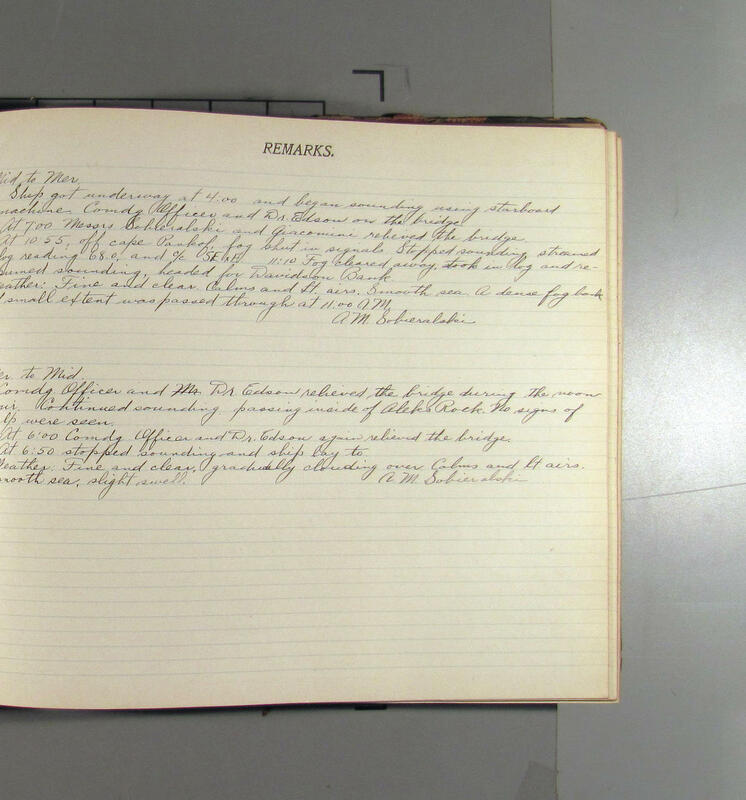 These new logs look quite different to the government ship logs we are used to – they don’t have a uniform page structure with tables of data – so we are adding them in their own separate section, and the way to mark the page and enter data is a bit different. Please have a look at the new logs, and experiment with the new interface – it will take a while to get used to, but help and advice is available, as always, through the forum. We are also adding one other new thing: a way to add our own value to individual log images. We’ve always concentrated on transcribing the contents of the logs, but up to now we have not had a good way to add our own comments to them: or mark interesting pages, or flag mistakes made by the log-keeper, or tag pages to make groups. We are adding the ‘Talk’ system (as featured on other Zooniverse projects) to oldWeather to let us do this, and I’m really looking forward to what we can do with it. If you like the old oldWeather, don’t worry, it’s still there as before, but now we have the added opportunity of oldWeather-whaling. Kelp is, perhaps, more important than you might guess: Not only does it thicken your toothpaste, it supports whole marine ecosystems where it grows. It is important enough to have a Zooniverse project devoted to watching it grow, through Landsat images. Satellite imagery is a great way to monitor the world – providing frequent, comprehensive pictures of the whole planet. But in-situ observations also have their place: people on the ground, interacting directly with the system being monitored, can often provide a detail and precision that the satellite records lack. Steaming along at various speeds, locating outer limit of kelp beds off La Jolla, fog gradually increasing, log hauled in. [Pioneer, spring 1923]. Continued sounding passing inside of Aleks Rock. No signs of kelp were seen. [Patterson]. 4:15 Kelp ahead, full speed astern … Ran about 1/2 mile SWxW and ran into kelp again. Wreck bore E 1/2 N. Stopped and backed away from it [Patterson]. 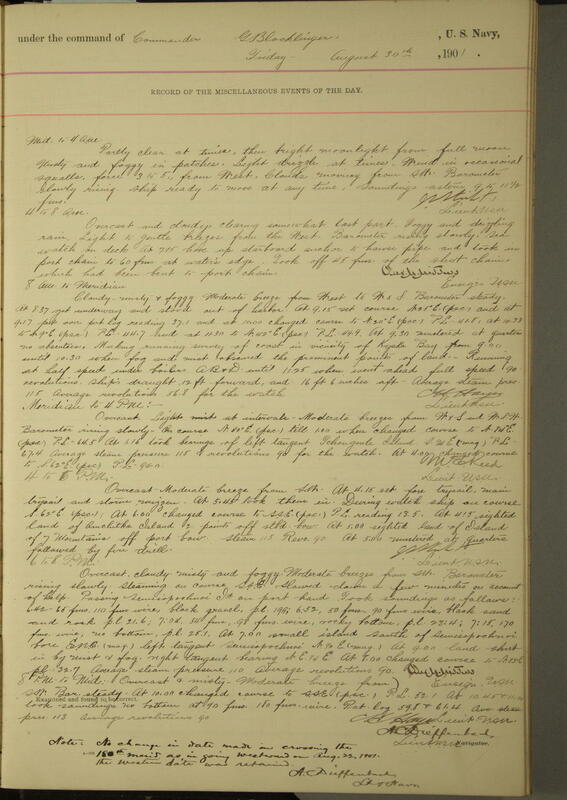 found four masted schooner “Watson A. West” in the kelp on the outer edge of the shoal, broadside to the beach, close in and in dangerous position [Unalga, October 1916]. Between six and seven o’clock, patent log registered only 3.9 knots: hauled in rotator and found it fouled with kelp; cleared it, and allowed 2.6 knots for the discrepancy. [Commodore Perry, July 1896]. Found spar buoy #16, two hundred yards NE of true position and in kelp. 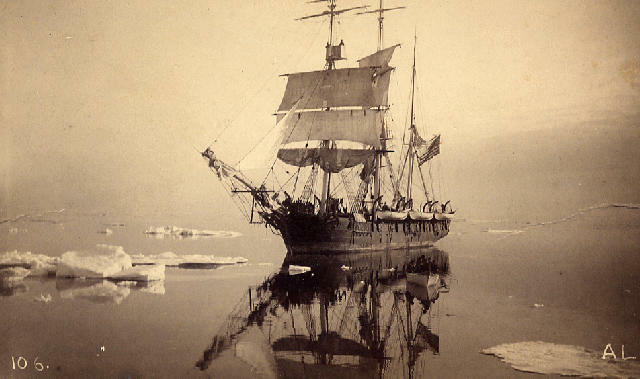 [Commodore Perry, February 1903]. At 10.36 sighted what appeared to be a pinnacle rock. Stopped ship lowered boat and after inspection the object proved to be a much worn spar, heel up, with kelp attached. [Yorktown, June 1894]. 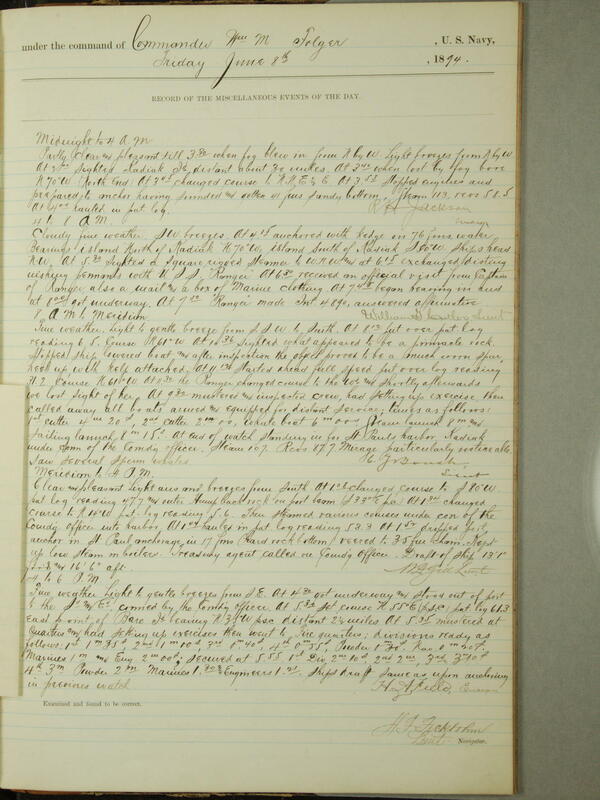 Thanks to all those who’ve transcribed such records from the logs. Today, 9th June, is International Archives Day, where archives around the world unite to celebrate their remarkable resources by sharing an iconic image from their collection. 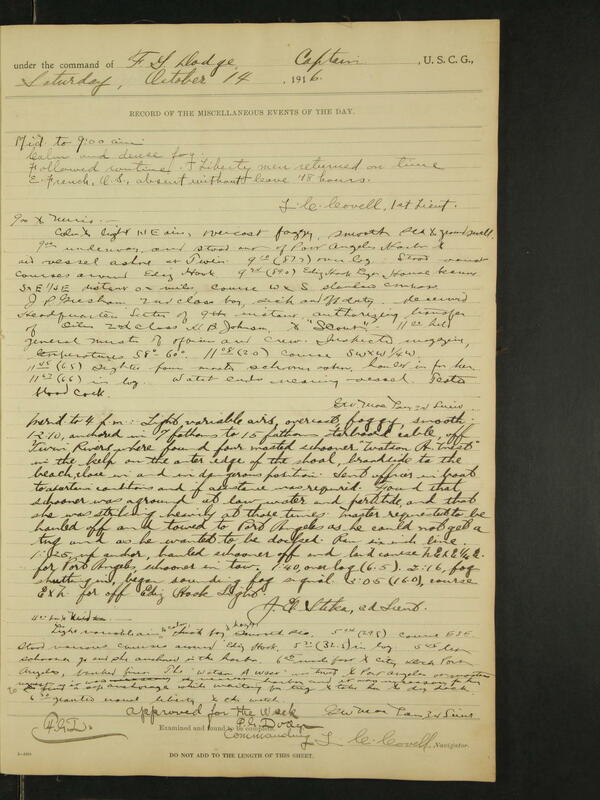 oldWeather is no archive, but we certainly do appreciate them, and we aim to add value to their collections through our transcription work. 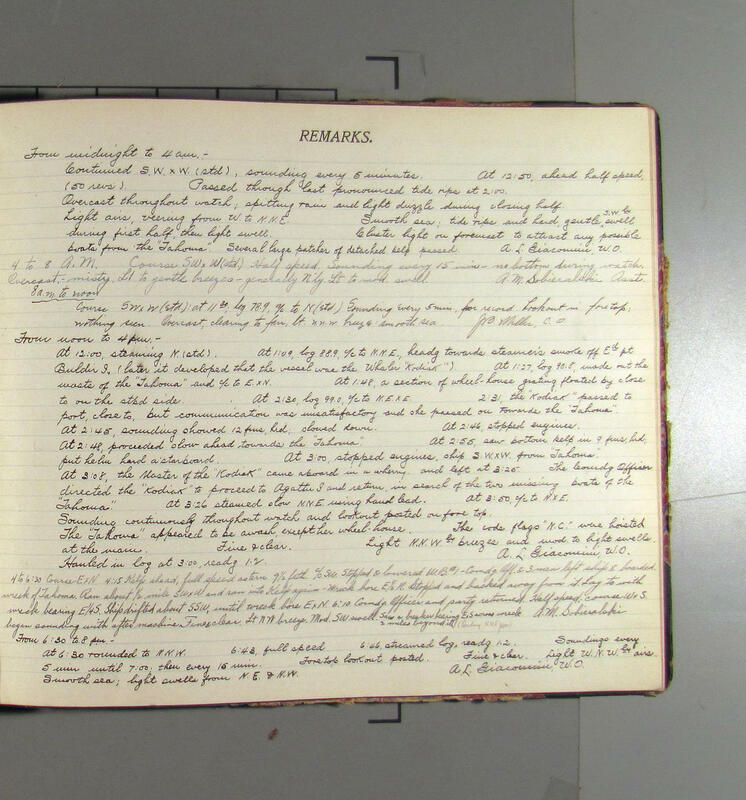 So here’s an image in which we saw some special value – this is from the collection of the UK National Archives: The logbook of HMS Tarantula, from August 1920. 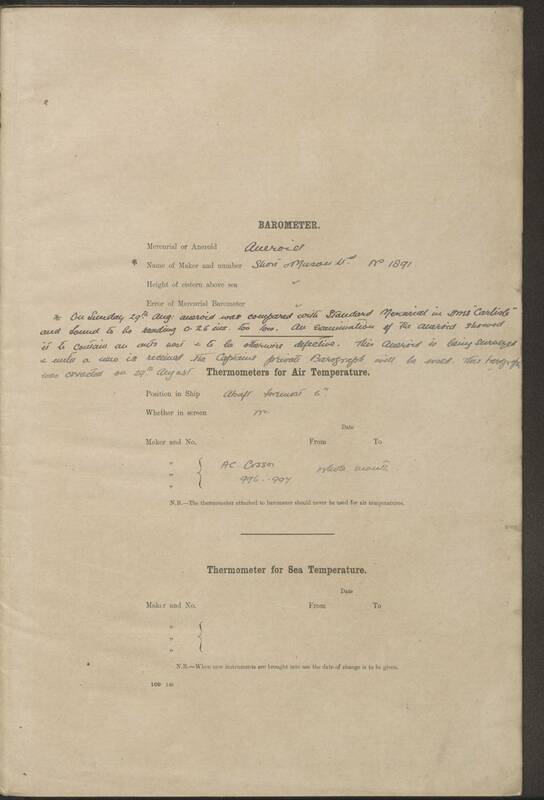 Thanks to generations of archivists for preserving these records for use today; without their skill and dedication this record, and all the others from which we have learned so much, would have been lost forever. 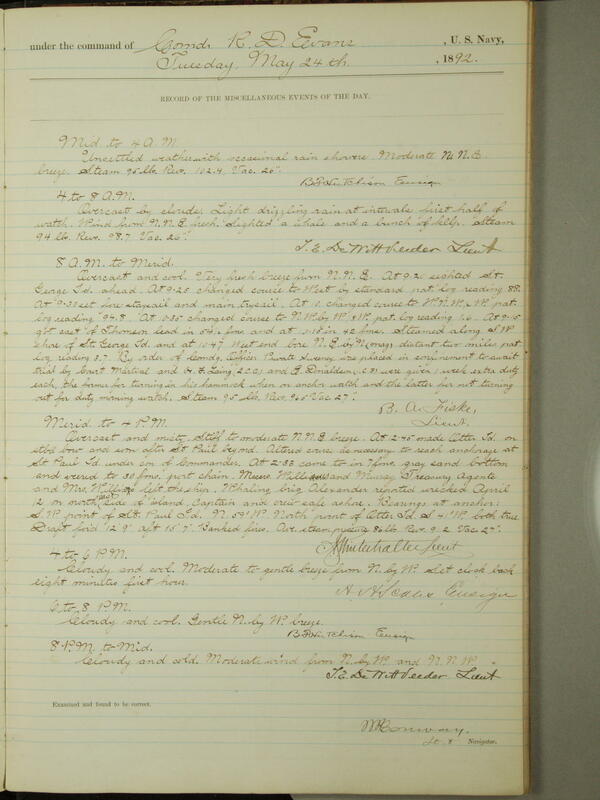 On Sunday 29th Aug. aneroid was compared with Standard Mercurial in HMS Carlisle and found to be reading 0.26 ins. too low. An examination of the aneroid showed it to contain an ants’ nest and be otherwise defective. This aneroid is being surveyed and until a new one is received the Captain’s private Baragraph will be used. This barograph was corrected on 29th August.